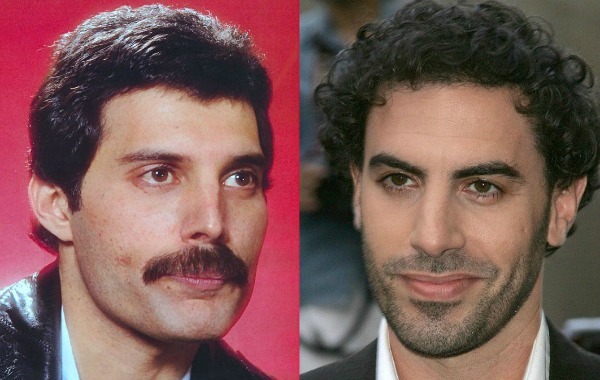 HOLLYWOOD – Sacha Baron Cohen announces Freddie Mercury film to rival Bohemian Rhapsody. Don’t stop me now, says Sacha Baron Cohen as he signs on for a rival version of the Queen story. The British comedian was originally slated to play the lead singer in Bohemian Rhapsody when creative differences saw him leave the project. But his interest revived when he watched the Rami Malek film. What we wanted to do is so different from what they did that I realized that we could make the film and no one would even think of them being about the same person. They did essentially a straightforward and rather sanitized version. We wanted to see the excess, the parties, the extravagance, the decadence. Sounds good. But will Queen let you use the music? No obviously not. But we see that as an advantage. That way we avoid all those scenes in the studio and at the concerts and we can just concentrate on the orgies and the drugs. Plus our director is really prepared. Knows everything about Queen, has done the research. He was going to do that Elton John movie with Tom Hardy, but once Tom left he decided to look into Queen and that’s why he’s so uniquely qualified. Fat Bottomed Girls (You Make the Rockin’ World Go Round) will be released in 2020.